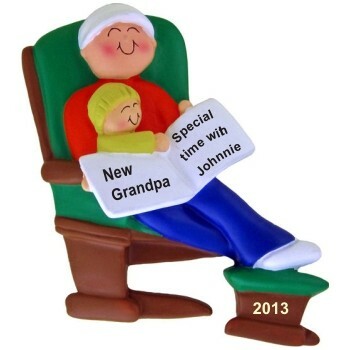 In the early years we struggle to find the perfect partner. 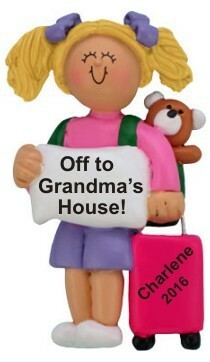 Then there's the thrill and challenge of raising children. And at last, we get to be grandparents. 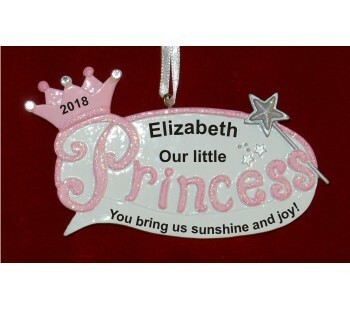 It's a wonderful time in life where the adult-child relationship can be full of fun, giving the "raising" problem to our now-grown adult children. 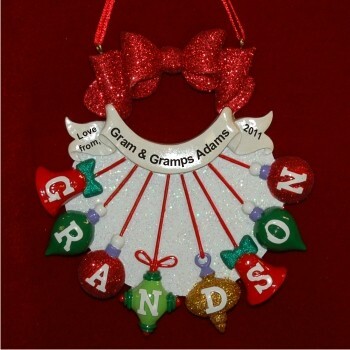 Grandchildren typically adore their grandparents, and grandmothers and granddads the world over beam with the excitement of spoiling their grandkids. 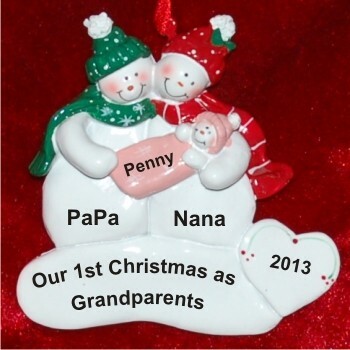 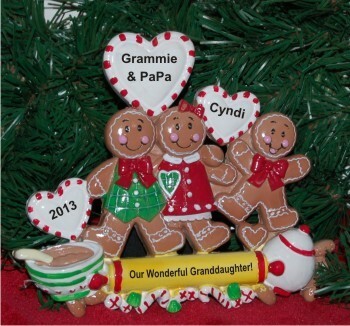 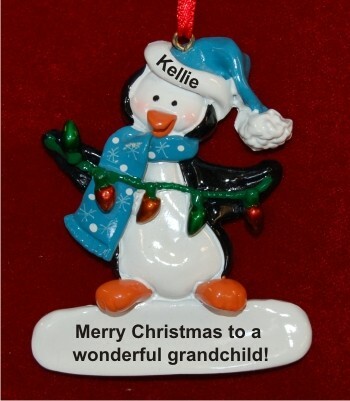 In this category, we offer our new grandparent ornaments for first time grandparents, as well as Christmas ornaments for grandparents to be. 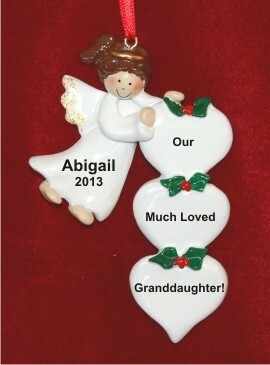 Each can be personalized to commemorate the first grandchild born. 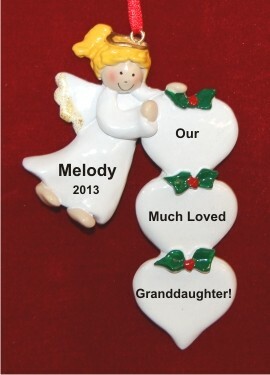 Include the child's name and the year, and your custom heartfelt message as an unique gift for grandparents. 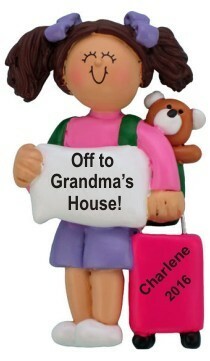 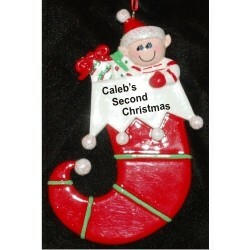 You can also create an ornament from your child to the grandparents even if he or she isn't their "first". 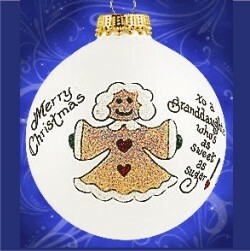 Or, consider one of our great grandparents Christmas ornaments ideas. 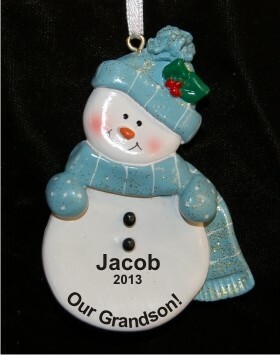 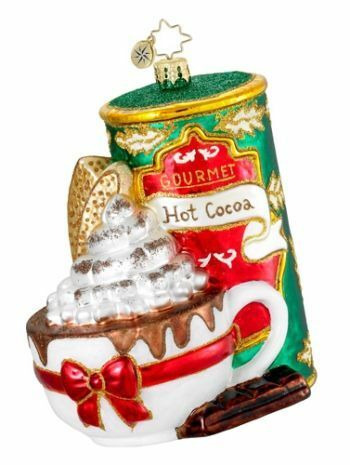 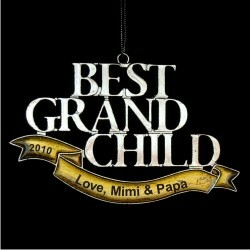 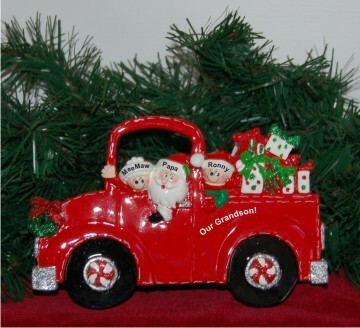 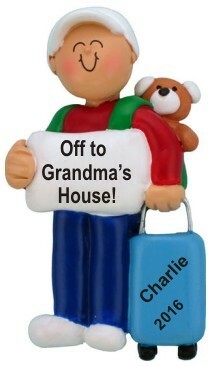 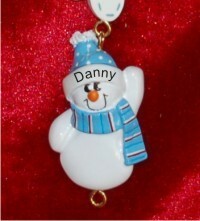 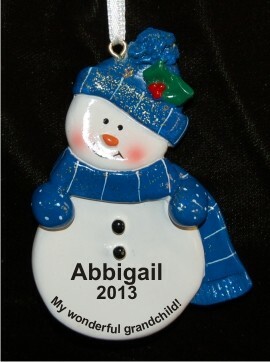 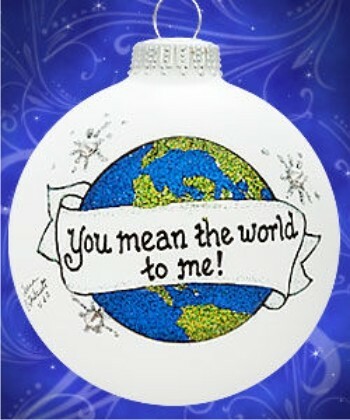 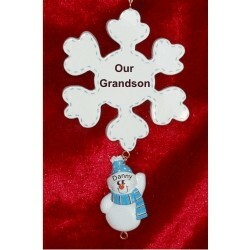 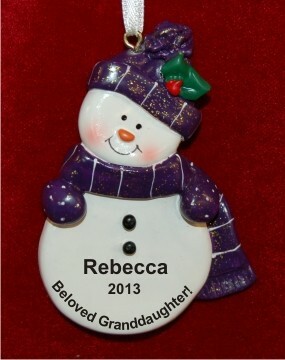 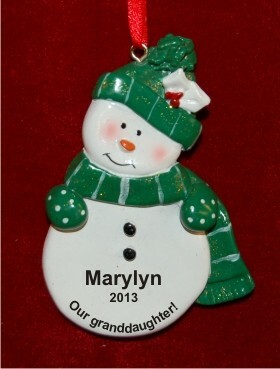 Our personalized Christmas ornaments for grandparents make wonderful gifts that will be enjoyed for the years to come. 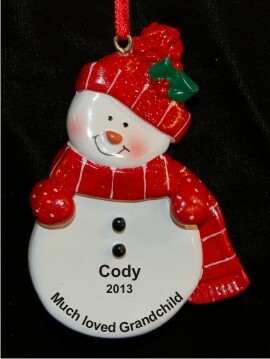 Each of these ornaments where noted arrives in our beautiful black velvet bag. 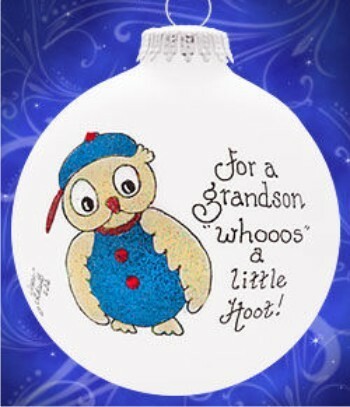 My Grandson - What a Hoot!